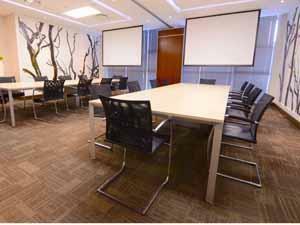 When it comes to over 11 boardrooms available at each Business Centre, you have a variety of different sized meeting rooms to use with an affordable pricing structure. Our meeting rooms provide tenants, as well as external users, the privacy that is required to conduct professional or more casual meetings. 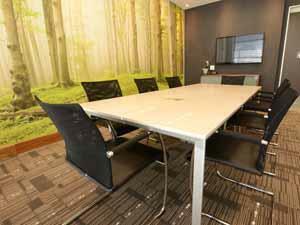 Throughout our various meeting rooms located over five centres, quality is kept consistent. Attractive paintings and naturalistic wallpapers create an extension of space within subtle hints of greens amongst large trees. Ornamental décor such as orchards and cactus plants, add to the scenic look and feel of each meeting room. 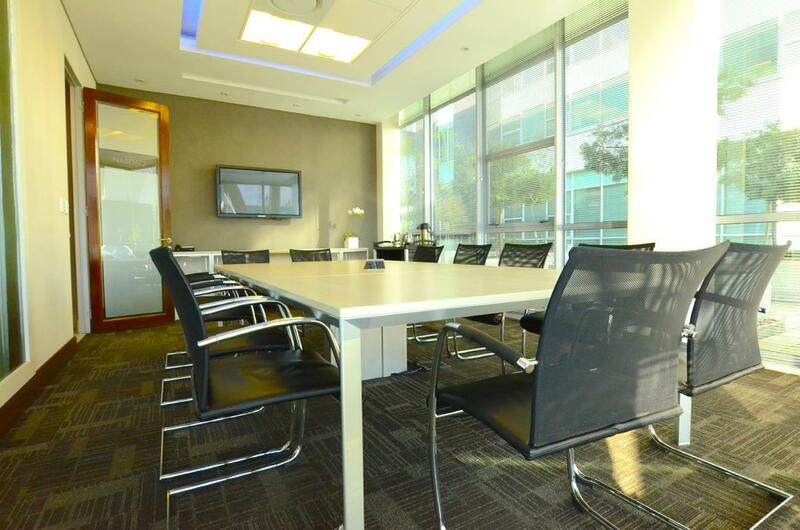 All boardrooms are spacious and are equipped with air-conditioning. Luxury fitted furniture has your comfort in mind, with modern black or white décor. These unique design elements assist with keeping your meeting professional, and is sure to make your guests want to come back. Our state-of-the-art digital Evoko screens are mounted on the exterior of each boardroom, and displays whether the room is booked and by whom. If the Evoko screen is highlighted in green, the room is available. If it is highlighted in red, the screen displays the time as well as the company that is making use of the boardroom and the period the boardroom will be used for. Should you wish to make use of our catering services whilst occupying our meeting rooms, our delicious menu is sure to contribute to the overall success of your event. Our facilities are ideally located in prime locations: Fourways, Rivonia, Broadacres, Century City and Umhlanga. Ideal for not only meetings, but networking events too, our meeting rooms and boardroom facilities offer a National Footprint. This means that should be wish to make use of a venue in Cape Town whilst on business from Joburg or KZN, you can, with the greatest of ease. 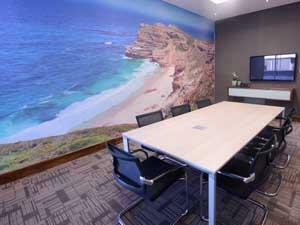 The difference between our boardroom and meeting rooms are the size and the technology available. Meeting rooms are simpler and are ideal for smaller groups, whereas our boardroom facilities are the perfect option for larger groups who may require more advanced technology options. Our floating meeting rooms are located on the first floor, overlooking the reception area and entrance. This was designed to create a feeling of floating on air whilst in a meeting, whilst still being in close vicinity to communal areas such as document and beverage stations. Our meeting rooms have been designed to add comfort and professionalism to our clients’ events. Whether you wish to host a casual event that requires seating or standing space, or you wish to conduct a formal all day meeting, allow us to assist in making your event a success.